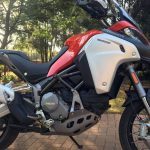 What is the South Africa Bike Festival really about? 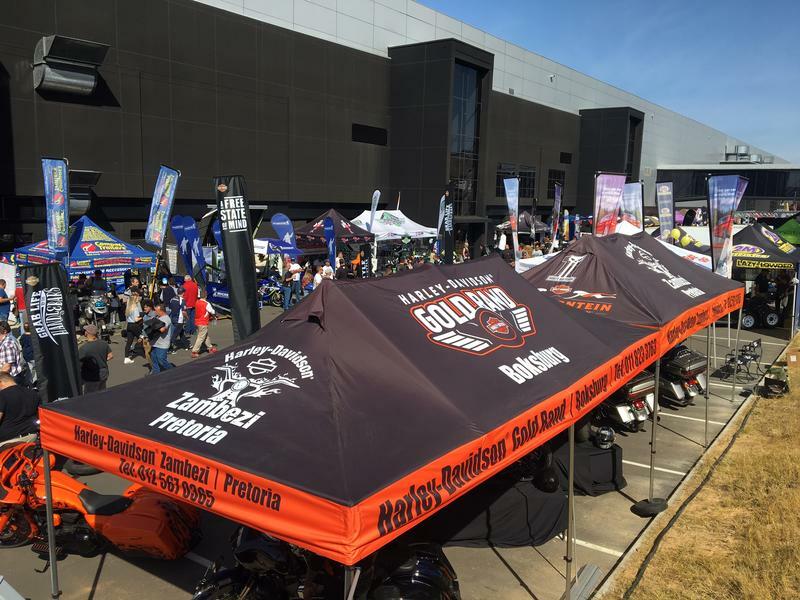 The annual Bike Festival that took place at Kyalami Race Track is about motorcycling as a lifestyle, and creating a one-stop venue that allows riders and enthusiasts to have a good time. A total of 20 329 enthusiasts visited over the three days with 110 industry-related exhibitors and media partners. 8 Million Rand’s worth of accessories and apparel were sold during this time. The venue consists of outside and inside areas. Outside the various food stalls, exhibitors and of course the second-hand bike stand sponsored by AutoTrader SA could be found. 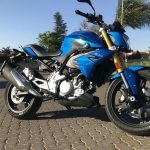 The AutoTrader platform gave motorcyclists the opportunity to sell their motorcycles online and shop for a new or second-hand one simultaneously. Over 60 new and nearly-new motorcycles were purchased the week after the festival. The outside areas also provided entertainment throughout the day and night. This year the live music line-up hailed from local Gauteng; proudly in association with Marshal Music. Chosen because they are the finest up-and-coming rock, country, indie, blues, jazz and folk bands this side of 2017, we look forward to welcoming them back next year. The more extreme side of the festival always caters for thrill-seekers, showcasing exciting stunt and freestyle motocross events. This year the South African GP Racing Series was also part of the festival. The riders put up a great show for the crowds who mostly watched from the grandstand opposite the main pits. These riders experienced the ‘new’ Kyalami race track for the first time since its purchase by Toby Venter. One of the biggest draw cards for the industry is having the event at the internationally recognized Kyalami Race Track. This, and the fact that manufacturers provided a variety of models to test ride around the track throughout the weekend, was a real crowd-puller. One key criterion is that you need to own a valid driver’s license and that you remain behind an instructor for two laps. 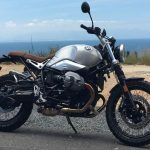 Some riders unfortunately found the slow pace extremely frustrating – but the whole point, from an organizer’s point of view as well as a manufacturer’s, is giving everyone the opportunity to ride a motorcycle – although in a controlled environment. It becomes extremely difficult to manage different level riders and ensure everyone’s safety if track speeds are left open and uncontrolled. With 2848 Circuit Test Rides and 312 Adventure Ride Out experiences, it proved a winning recipe. As part of the inside entertainment, on the bottom floor (in the main pit area), festival-goers could admire the products of motorcycle manufacturers such KTM, Harley-Davidson, Ducati, BMW Motorrad, Suzuki, Yamaha, Honda, Can-Am, Polaris, Linhai, Zontes, Husqvarna, Indian Motorcycles, Vespa, BetaRacing, MV Agusta, Aprilia, CSR, Hyosung and Crosby. Twenty motorcycle and scooter manufacturers had just under 500 motorcycles on display! There was great disappointment when Kawasaki and Triumph decided not to attend this year’s show. 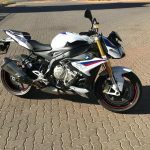 It was a tough decision but understandable, as it is not cheap to exhibit at Kyalami. These two big brands were sorely missed. However, on a more positive note, there were a lot of new models revealed on the day of the actual media launch, which is a boost for the industry. On the final day of the fest, 624 Dunlop Sunday Charity Riders joined the event for two laps around the circuit on their own motorcycles. Over R34 000 was raised in rides, donations and raffle tickets for Ride for a Reason Claws and Paws charity organization. It’s always satisfying to give money for a great cause while doing what you love. 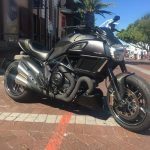 With regards to the RocoMamas Custom Bike Championship in association with Bike SA Magazine – there were 45 entries, and four of these custom motorcycles were sold at the festival! This is the show that truly offers something for everyone.